Specialized aren't newcomers to the carbon wheel game. In fact, the Roval Traverse SL Fattie wheelset that was released back in 2014 deserves credit for helping to prove that it was possible to create light and strong carbon wheels that weren't insanely expensive. Specialized went back to the drawing board to create the next generation of Roval Traverse wheels, but even though they experimented with a number of wacky looking designs, the end result was, well, quite ordinary. J-bend spokes, no radial lacing, and a fairly traditional rim profile – it turns out that many of the tenets wheelbuilders hold near and dear are still very relevant. 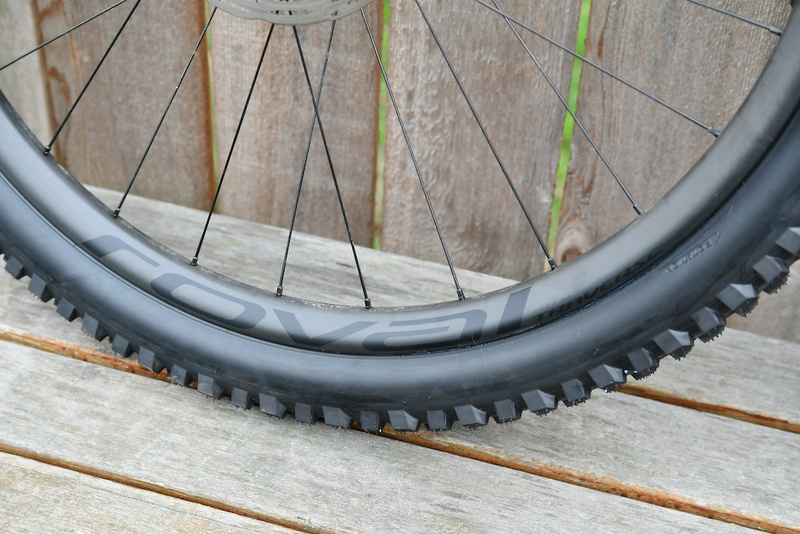 The carbon rims have an inner width of 30mm and use a hookless bead design. Those rims are built around 28-hole DT Swiss 350 hubs, with a 36-tooth rachet ring in place in the rear. The wheels come pre-taped, and tubeless valve stems are included, which makes setup a cinch. The 29” version tested here weighed in at 1840 grams, retails for $1,200 USD, and comes with a lifetime warranty. There's also an SL version for riders looking for a little faster engagement and slightly lower weight, although it'll cost you $700 more. The hookless carbon rims have an internal width of 30mm, and arrive pre-taped with tubeless valve stems included. 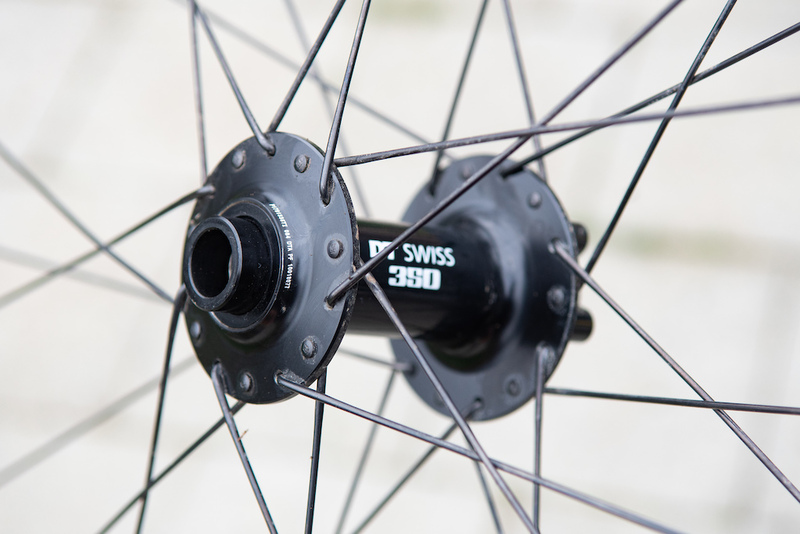 DT Swiss' 350 hubs are simple and reliable. With the 36-tooth ratchet rings there's 10-degrees of motion between engagement points. I've mounted several different sets of tires to the Traverse wheels over the last few months, and every time getting them seated and sealed was hassle free. That 30mm internal rim width works well with tires in the 2.3 – 2.6” range, and every tire snapped right into place with the satisfying 'thwunk thwunk' that's the hallmark of a successful tubeless installation. Depending on the tire and conditions, my pressures ranged from 20-21 psi in the front, and 21-23 psi in the rear. The best wheelsets are the ones that you don't notice, and the Traverse wheels fall squarely into that category. They're stiff and precise, but without going overboard - my hands and forearms never felt like they were taking a beating, even on long, rough downhill sections. Determining wheel stiffness isn't all that easy when you add big tires and softer ground into the mix, but I'd say that the overall feel is similar to that of Santa Cruz's Reserve wheels, and slightly less stiff than Race Face's Next R wheels. The wheels are also nice and quiet - the occasional 'twanging' noise that emanated from the previous version has been eliminated, likely due to the switch to a two-cross lacing pattern. The rims survived all of the root and rock smashing I subjected them to, including a few hard landings where I was certain I'd need to spend some time with a spoke wrench, only to be pleasantly surprised to find that they were still properly tensioned and perfectly true. I've had very good luck with DT's hubs over the years, and the ones on the Traverse wheels were no exception. The 36-tooth ratchet rings create 10-degrees between engagement points, which is moderately quick, with a very positive feel when the hub engages. After three months of mud and grit the bearings are still spinning smoothly and are free of any lateral play. Since I ride carbon wheels I have less troubles with truing my rear wheels. With carbon your wheel will stay trued even if some spokes are loose with alloy your rim will get untrue and may be never go back. Carbon is not only about the weight! @ridebullit: purely anecdotal but i've been riding XM481s for 2 seasons now and they still run very nearly as true as any new wheelset (colour me surprised) so I guess any average (I'm just under 180lbs geared up) rider that enjoys aggressive trailriding will be just fine with alloy. @wowbagger: i had an XM481 last exactly one run in VT with 35psi in a DH casing tire. @ridebullit: I've had my wtb metal rims on my bike for 4 years now. Not trued them once and my bike has been ridden fairly hard too. @ridebullit: I had that problem until i changed to plain guage spokes. Been a year since touched them. This (and others like the Santa Cruz Reserve) come with a lifetime warranty. I destroyed my rear alloy wheel after two years of casing jumps (I'm a noob). With the lifetime warranty that I have from Santa Cruz, I can case to my heart's content. @ridebullit: Combine carbon rims with a foam rim strip you get an almost unbreakable combination since any major impacts that may damage the rim will be absorbed by the foam. I used to destroy 2-3 sets of aluminum wheels a year. The only rim that would last me most of a season was Mavic 823 USTs. Heavy as steel but really strong. Then is switched to carbon ten years ago and I’ve only managed to crack two rims that where replaced under warranty at no cost in ten years. Well worth the $2400 cost I’d say. No to mention dropping over a pound of rolling weight off my bike. The better carbon wheels have really good warranties. If you can’t afford the entry price of a quality set with a good warranty aluminum is probably a better choice. Truing wheels has become a thing of the past as well. Run solid tires and reasonable air pressures and all is good. Run whatever wheels you want but I’ll take carbon. PS I’m not a Dentist. I’m just willing to sacrifice more than most for the sake of my bike habit. @ridebullit: YES! I'm 200lbs and run the older and lighter Fattie SL's on my trail bike. They are not the stiffest out there but I have never had to true them other than when I lost a spoke due to rock flipping up into the rear while on vacation. I am very hard on these wheels and they have well over 2000 miles on them. Even with a missing spoke they stay true, and the SL's don't have too many spoke to begin with. I really like my carbon wheels they mostly stay tensioned and always stay true. I think maybe you big time huckers that are borderline pros maybe break them just as easily as aluminum rims but all the joe schlubs with beer guts I hang out with get way more use out of carbon rims then the 1 season or so they get out of aluminum rims. Combine that with us schlubs not having the time or ability to lace our own wheels back up I find carbon to actually be cheaper over the long haul. @LuvAZ: lifetime warranty JUST became a thing in the last month or so. Lousy timing! @mihauek, that sentence was comparing them to other carbon wheels, ones that typically cost much more. As far as comparing them to aluminum, the main advantages are weight, stiffness, and improved impact resistance (to a point). I've found that carbon wheels stay true longer, and they can handle some serious punishment. They're obviously not unbreakable, and in race scenarios aluminum rims make a lot of sense since they can be bent / pounded back into shape, but there are more and more DH and enduro racers going the carbon route now that foam inserts exist. Do you absolutely need carbon wheels? Nope. But with prices dropping to a less insane level they're worth considering, especially if the manufacturer offers a lifetime warranty. @alu-uzzi-2016: What exactly does a lifetime warranty give you? Yeah literally nothing- if a malfunction occurs you need to proove that it existed since production- good luck with that in a sport where the material gets abused. Now a lifetime crash replecement would be way better. @NotNamed: Details of warranty definitely important, but what he's getting at is there are now several manufacturers who offer no questions asked lifetime replacement. We are one composites, Santa Cruz, come to mind. For me. One reason only. I'm a heavy and fairly aggressive rider. Alloy simply does not hold up for me...constantly going out of tru and flat spots make carbon the way to go. That may not be true for all riders though. I've had one set of Rovals that I purchased second hand from a well know pro enduro racer a year and a half ago and I'm yet have to do a thing to them after tons trail, bike park and races over that time. @ridebullit: I agree that carbon rims allow for sloppier wheelbuilding and lower spoke counts. Which might be part of the reason why bike companies keep pushing them. But the value is just not there. One can get an alloy wheel built to the highest standard by a master wheelbuilder for a fraction of the cost of carbon. And the good ones offer crash replacements as well. @5afety3rd : Wheels staying true has little to do with the rim and everything to do with the quality of the build. Carbon rims are somewhat more tolerant of bad wheelbuilds than alloy, but only up to a point. @NotNamed: I believe we are saying the same thing. From the Santa Cruz website, "Lifetime. No gimmicks. Not limited. 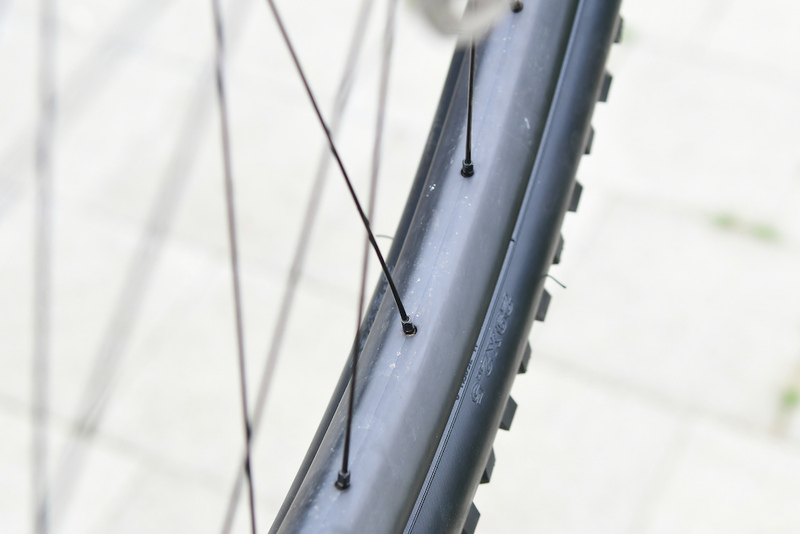 If you do actually manage to break our rim while out riding, we'll replace it for free." Not sure about Specialized, and don't care, since this is the last wheelset I have to buy for my Uzzi. @Staktup: you know it... my wheels are worth more than my frame. 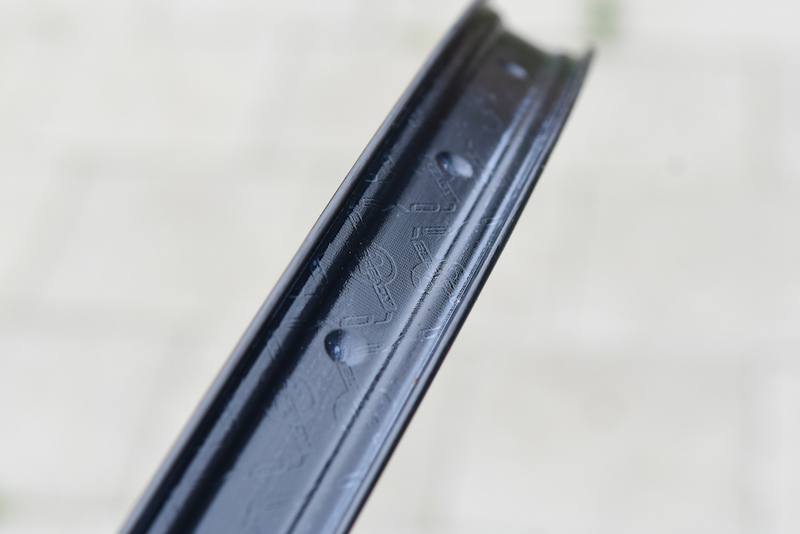 @alu-uzzi-2016: From Specialized website: "Just like our frames, Roval wheels are warrantied for life." @generationfourth: an objective comment on Pinkbike? Ttimer I feel like a broken record here but consumers have way too many viable carbon options these days. Several of my endurobros and myself built up China direct wheelsets using LB, Nextie, or Tandell and their quality is high. Pick your price point based on how Gucci you want to go with your hubs. Plan on paying (just) 2x an aluminum rim. Like many others who made the switch for me it was a performance reason and it’s been worth it. The value is definitely there for many riders who ride hard. But that’s also subjective. @Ttimer: I’m a 20 year veteran wheelbuilder. Strength has everything to do with quality products selected for that particular rider’s needs AND even/appropriate tension to ensure those products last as long as the manufacturer’s intentions. That tension should remain on the wheel until something fails, like an XM481 under DH/enduro abuse. That’s why the EX511, FR560, and HX531 are produced. Is it worth bothering with any other hubs? DT 350's are everything you need and nothing you don't. Seem to last forever, even here in the UK Peak District where conditions are grim most of the time. @aljoburr: I remember my old (2012) Roval wheels being built aroung DT hubs, maybe those even were the 350s..
Did they switch to other suppliers? Yeah, some people prefer better engagement than 10 degrees. It’s very noticeable on the trail. @FindDigRideRepeat: You can get 54t star ratchets. @wowbagger: The rear hub on the "Expert" and "S-Works" level bikes was a rebadged DT 240. I have several of them because I found them dirt cheap. People didn't realize what they had. Depends, did you ever destroy the $90 special tool trying to get the ring gear out for a simple bearing swap? @yzedf: No. It's always been a real easy process in my experience. Though given the fact that we are talking about parts that are constantly subjected to dirt, water, and extreme forces, I can certainly see the potential for the occasional nightmare to occur. Also, from my experience, i've found bearing replacement in the DT Star Ratchet hubs to be an extremely rare necessity. @browntown40: I shouldn’t have to for $1200. It should come like that. @TheRaven: mine barely made it 2k XC miles, shop broke their tool. 3 different bearing setups possible, don’t know until you pull it apart. You can’t properly torque down the ring gear until you ride it. Real fun that first climb when you stomp on it. Just because it’s dt doesn’t mean the bearings are much better or worse than most other quality sealed bearings. @adrennan: What's the point of carbon wheels if you have 10kg hubs? Look at the Syntace Hi Torque as an alternative. I have a set of 350, 240, and Syntace. The Syntace is better than the 240 and it comes stock with 45 poe star ratchet. @wowbagger: The Roval straight pull rear hub on the 2013-2016 Expert and S-Works trim bikes was a rebadged DT 240. The shell was just slightly different but all the internals were exact 240 parts. I don't believe the comps had that hub. @yzedf: That's true, but the fact that it's DT does mean the bearings are well-protected. Oh and you can identify the bearings in the hub (assuming it's a virgin hub and the bearings haven't already been swapped) by the end caps. There were three revisions of the 240 which are identifiable by their end caps. @b-wicked: I'm so tired of that advice. I'm not pulling apart a hub dt built because they didn't do it right. For the money they charged for my 240s they could've had the decency to not screw it up. @TheRaven: I'm just going off what my lbs mechanic who is dt trained told me. @yzedf: Well he's not wrong, just missing a couple details that's all. @TheDoctoRR: Yeah the elite does not have the Star Ratchet hubs. Though I did not know that those hubs were also DT. All the ones I have seen myself were Joytechs. @TheRaven: Yah, I had to do quite a bit of research on as I was thinking about trying to upgrade the internals. Apparently it’s a whole thing so I never did.. This guy chronicles his experience trying to upgrade..
@TheRaven: PS. Apparently they are DT 360s.. though I’m certainly not an expert..
@spaceofades: hubs are at the center of the wheel and their weight therefore has a relatively low impact on acceleration. I can't find any DT350s for my dh bike 12x135!! @Billjohn6: they make an end cap conversion kit for that size. Labeled for road. I had really good luck with those wheels too - they survived a serious amount of abuse. @mikekazimer: do the new wheels come with the spoke hole plugs like the old wheel? @mattvanders, no, these just the rim tape that's shown in the photo. I lost out last stage of a race run when my spoke broke through the spoke hole plugs. Gorilla tape ftw! Agreed, $1200 for a wheelset that isn't the strongest or the lightest... what are you guys smoking!? Would you prefer that they become more expensive? Look at the prices from a few years ago and you'll see how much prices have dropped. But yes, I realize that $1200 is still a ton of money - you can buy a nice hardtail for that much. Everyone has a different budget, which is why we review products at a wide range of pricepoints. These are obvioulsy a quality item. The same cannot be said of the bottom of the range Spesh alloy Rovals. The rims are super soft and the rear hub on my set trahes bearings. It still feels notchy after an agent service but smooths up when the axle is tightened making me think there is something wrong with the design or manufacture... My wifes 9 year old DT 26" AmM wheelset is still running strong with no servicing bar a recent star ratchet lube job. Yes, if they're still using the same rear hub as on my 2015 enduro then I seriously couldn't recommend this product. That hub is the weakest point of the whole bike. Needs bearing changes (for which I've been charged as much as £45 when away from home!) far more often than my hope pro2 despite the spesh only getting ridden in dry conditions and the hope putting up with all the winter slop. Also the freehub bearings had a surprise explosion once - 1cm of play came out of nowhere causing quite a bit of damage to my brakes and frame dropouts by the time I'd come to a halt. Oh and you have to check the 12mm bolt thru more than once per ride to make sure it stays tight. Yes. The base model wheels used rebadged Joytech hubs. 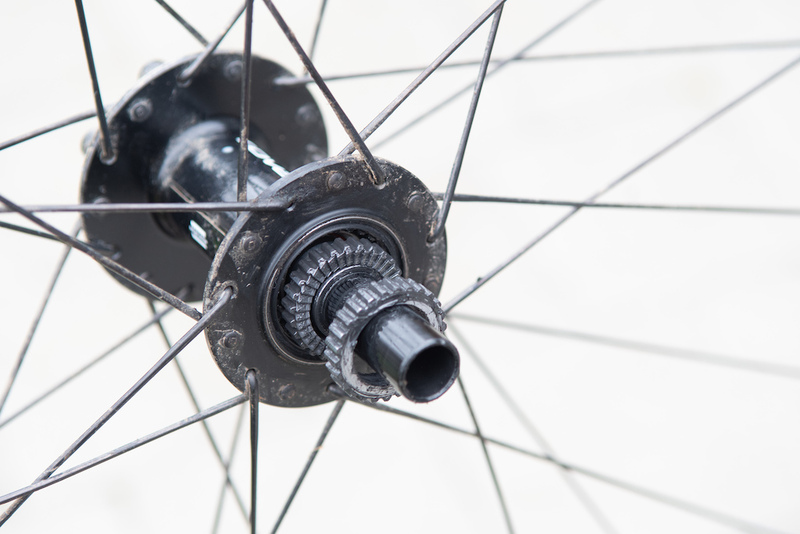 Even on some of the upper-trim bikes you would find the rebadged DT 240 rear hub paired with a Joytech front hub. It was weird. I had a set with dt360 hubs (3 pawl system) and they were by far the worst wheelset I've owned. I actually like having a few non boost wheels around with conversion kits.. I have boost and non boost bikes and the ability to move my carbon wheels between them is nice. I have this set up and it’s been awesome... well, almost. My “old” traverse wheels have been on three different bikes now and are still going strong. But after fitting the specialized boost conversion kit my brakes have started to squeal really bad. Is this something that you’ve come across? I’m currently trying different brake and wheel combinations to eliminate the problem. @NickBit: I dont have any resort days on my converted wheelsets since its winter here.. I have a handful of rides on them on my hardtail and have not had any issues more than usual. I am riding metalic pads in Shimano brakes in the wet, so I guess I just expect noise anyways. Same here. Discovered the price drop last year. Thought it was a typo. Bought a few myself. Very respectable wheel set. I've had nary a problem yet with mine. Yeah I have the same wheelset and it only weighs 1650 g. These new versions are 200 g heavier WTF ? Broke a few spokes over the years but they've been bulletproof otherwise and I weigh 195 and race expert Enduro. @NickBit: Mine are boost-inated and they now squeal too! I bought a NIB set of those 2018 non boost Traverse Fattie SL 29 from Chico's AMain cycles 10 days ago for $750, 54 tooth star and 1570 grams,Couldn't believe that price. @youfirst:Right!? It's was too cheap to be beat.. You should have seen the EP price for us shop guys! Haha I know a few of us shop guys that bought a few pairs! I know the value of good wheels but I struggle to see the value in carbon wheels. My go to wheels are Spank Trail 295 alloy rims on Hope hubs that are assembled by a professional wheel builder and they'd come in around AU$700. I can cheap out the hubs for Novatec and get similar performance with perhaps a season less longevity but save $250... that's a lot of wheel for not much coin. My personal experiance is they are bloody expensive when you crack a rim! Specialized wanted £450 for a rear rim replacement due to a crack. No warranty at all just a big bill. Maybe consider Santa Cruz wheels if you are seriously considering carbon wheels. From what I understand Santa Cruz are the only company that stand by their carbon wheels durability. Companies should stand by their product more when they charge what they do. Where is the incentive to spend this amount of money on carbon vs alloy rims if there is no support? This - bought the previous version of these as they were a good price, had a good warranty, dealer back up and a crash replacement scheme. Then found out the f*ckers wanted £450 for a new rear rim. My DT350 36 tooth 32 holes + EX471 custom handbuilt wheelset was ~500€ (maybe 600€ today), i.e. 1/2 of the above with the same hub and is approx 1800g. It also came with a crash replacement policy where I only have to pay for material and a free yearly truing service. Maybe better check if there´s a such a great, small wheel builder in your neighborhood as well? Crash Replecement > Warranty for rims for sure. $1,200 USD for "best wheelsets are the ones that you don't notice". What I'm getting out of the text is that this is supposed to be a sort of budget friendly set of wheels. For $1200. They're saying that the new "cheap" is $1200. Why? Why do these cost so much, when you can get them from China significantly for less. They must be selling MORE than the Chinese websites are, so it cant be a volume related issue. There's R&D going in to them? Really? Its strange how they manage to "improve" things every cycle with just the right amount of R&D included to meet a price point. I'll go for my standard comment on all Carbon Wheel reviews. These look solid, but I'd pick up We Are One Insiders for about the same price, lower weight, and take carbon hand laid in Canada with a lifetime warranty! Those are a good option, but they do cost $154 more, and have a 27mm internal width vs. the Roval's 30mm. The Agent would be a closer match as far as rim dimensions, and an almost identical weight. We Are One - The Agent carbon wheelset (build with same DT350 hubs) is the exact same price as these Roval. No competition, I'd get the WeAreOne's over these in a heartbeat ! @RollinFoSho, if you add in the upgrade for the 36-tooth ratchet ring the We Are Ones are $154 more, but I'm looking at the site in America - maybe they're cheaper up there in Canada. @mikekazimer: I just took the CAD total and converted to USD and it came out to $1268 USD, $68 USD more for WeAreOne. Pretty close, still a no brainer in my opinion. Also, The Agent DT350 wheelset are much stronger being 32 spoke, not 28 spoke 2 cross like Roval. I also like how you can have The Agents built with Sapim Race race on rear and CX Ray spokes on front. You can also pick between 18, 36, and 54 ratchet when you order. @mikekazimer: Absolutely true, and like I said these Rovals do look solid and I love to see the prices of quality carbon wheels coming down. I just like to plug what I think are a lesser known option/brand that is absolutely killer that anyone looking at carbon wheels should consider! PS I'm completely biased and own a set of We Are One Agents that I love! The front weighs 80g more than the rear? Am I missing something? Lol. I noticed that too. It's a plot to kill Danny MacAskill when he buys them. He'll be 80 grams off balance, and explode. And that's just the best carbon contender that comes to my mind - there are 1700g alloy wheels with the same dimensions out there (eg Newmen SL somethings) that are just over half the price. I really fail to recognise this as a good deal. Yes, bought the Acros ones... super disappointed with them! The rear hub is a joke (Aluminium driver that has minimal teeth to engage - busted on my after literally 5 rides. Was changed through warranty but there is no steel option so it’ll break soon again) plus the bearings installed are rough after just 4-5 months in with exact specs from Acros cannot recommend at all! People that break rims and wheels all the time are a) lying online about how many wheels they break to "keep it real" (i never see people post photos of their broken wheelsets, hmmmm? ), b) weigh 300 pounds and get shuttled to the top by their parents, or c) never read the manual and installed their wheels onto the bottom bracket. Most, if not all, products are designed for riders in the hump of the bell curve, not the outliers. You should check out @oldtech below. They've been riding 30 years and have broken every single carbon wheelset they have ever tried. Probably every single carbon wheel set they have even looked at. They eat carbon wheels for f-ing breakfast. 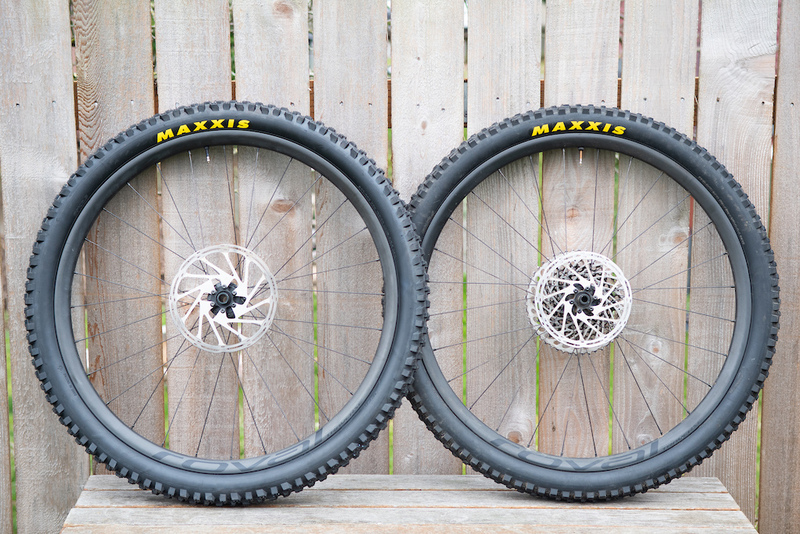 How does a set like these stack up against say, Hunt Trail Wide MTB for $419? Hunts: 30 mm internal, 28/32 spoke count, hookless bead, traditional profile, j-bend spokes, boost or non-boost, 1823 g for 29ers. To me the Hunts look like a great wheel for an amazing value, while these look like great wheels at 2.5x the price... But if there's some value I'm missing out on (say, maybe Hunt's hubs are total garbage), I'd love for someone to point it out. Maybe someone who's ridden the Hunt wheels can give me some feedback. We are one agent. No questions warranty and reasonable price over life considering i was wrecking 2 rims a season on aluminum. Thinks of time, truing, rebuilding, downtime. I'm sold on carbon for the lack of hassle. Way more time riding than working on them. I don't understand the sense of the carbon wheels when I can get lighter and cheaper aluminum wheels that can take even more abuse. If I would buy a set of wheels now I would choose the Newmen SL A30. 1670g and 30mm internal width.. For 699€. They won several tests. I'm on a set of "We Are One" Agent rims. I cannot find one negative thing about WOA rims. I've been beating the hell out of them for the last 9 months here in the Fraser Valley of B.C, and aside from a couple of small scratches, these things are still running like the day i received them. I'm a 190 pounds and ride these rims over and through everything nasty. I will buy We Are One's again for my next build, and they look much nicer than the Traverse rims shown here, with the same specs and a no questions asked Lifetime Warranty. I’m stoked someone finally did a review that distinguishes these from the SLs! Thanks. I’ve had a number of back and forth conversations with people selling bikes/wheels that think these are the same wheels. Same weight as my aluminium Easton Havens. Not particularly impressed. I've been riding mountain bikes for over 30 years. When my aluminum wheels get beat up 95% of the time I can still make it out of the woods. Every carbon wheel I have ever tried has broken and left me pushing my bike out of the woods. The bontrager line pro beats this wheel on every mark. 3.5 degree 108p engagement. 1650g (29er). Straight pull spokes. 2 year no questions asked warranty. What is the point of these over the XM1501 or EX1501? They are about the same weight as the EX wheelset & substantially heavier than the XM & a tonne more expensive. Being carbon, I fully expect them to be weaker than either of the DT's as well. If you are an Enduro racer that absolutely needs to finish a race run.. Alloy is the way to go.. Generally when they give up, you can limp them home.... That said, that "give up" point is sooner than a carbon wheelset. For an average joe that wants a wheel that stays absolutely true and never needs to be trued, a carbon wheelset is really nice since they don't really come out of true until you have reached the "give up" point. I have killed Alloy wheels and I have killed Carbon wheels.. The alloy wheels were better for a park and DJ bikes where I knew I was going to beat on and viewed as a disposable item. The carbon wheelsets are on my bikes that I view as a more permanent part of the bike where I dont see them as much as a disposable item. @swan3609: not true, My not true rear carbon wheel is at the mechanic getting another spoke replaced. It’s also in dire need of truing. Probably the first shops fault for tossing in a spoke and not checking all spoke tensions. Anyway I’m only 140 pounds, light rider, never thought I’d have to deal with this either. @generationfourth: If the spokes were never in proper tension, than it doesnt matter if the wheel is Carbon or alloy, its not going to hold up anyways.. Carbon hoops would be "less bad" in that situation since its such a inherently stiff rim compared to malleable alloy hoops. But weight doesnt really mean anything either.. I am 210lbs and I have killed more alloy wheels than carbon hoops, but I have also seen lots of 150-160lb XC racers squared edge hit carbon hoops and kill them.. Use and abuse is what really makes a difference more than weight..
For example.. My DJ bike has Specialized Roval Carbon wheels on it that have hundreds of rides on and I have flipped, 360'ed, cased 20ft jumps on and raced BMX on.. And they are perfectly true still... But I have a set of Alloy wheels that came on my Enduro that I have "only" ridden 15 times or so and they are completely oval and have huge dents in them.. My DJ wheels have been saved from square edge hits and huge rocks and they are so stiff laterally, that the flips and 360s have not affected them.. But the Enduro wheels have been landed on sideways and taken square edge hits that have made them no longer round.... It really just shows that weight doesnt matter so much as the specific circumstances that a given part sees. If ignoring the material.. is the quality the same??? @SillyTorque: In the UK the Rovals are £1000 MSRP, the DT Swiss are £840. The DT Swiss also use the 240S based spline hub, so use a better starting point. So much money and almost the same weight as an ally set, will take aluminium rims and 32 spokes any day over these. The alloy Roval Traverse wheels are 28 hole rear 24 hole front if you want 32 hole rims need wheels from a Spec demo! @aljoburr: The alloy traverse wheels bend like bananas, and have managed to destroy the freehub internals on 2 separate wheels. Needless to say they are no longer on the bike. "It's good to see that carbon wheels are becoming more affordable"
4X what a decent alloy wheel set will cost you is well into the diminishing returns area. These are wheels for people who go out for beers to the most expensive pub they can find instead of sitting on the tailgate drinking in the parking lot after a ride. Thanks no, will stay with ex471 laced to custom hubs with sapim race spokes and the result? 1900g for the wheelset which can be ridden by Gwin whole the way down in Leogang with no tire on, so sturdy... dent it? Bend it back. Price 450 USD. Wow, custom hubs. What are you running there, sport? @JohanG: well friend of mine is running a bike service, he is pretty involved in tech and a bit fetishist when it comes to wheels building. So he designed his own hubs, with enduro sealed bearings (5 in the rear 2 in the front) a pair in weight around 400g provided to me for just the price of the bearings (I paid like 135 USD for them). The price was a special deal as he needed to test them in real world conditions - whole winter of riding in Czech then whole season in Whistler mounted to Banshee Spitfire (150mm front 140mm rear) those wheels lasted it all like a superhero and you can imagine how much abusement they needed to take under a trailbike ridden there. Of course some trueing was neccesary after the abusement, but aside of this, nothing in year and half has to be done, not even greasing the bearings. @bok-CZ: Ok, I am impressed, you really are on custom hubs! Nice. @JohanG: honestly I´ve been impressed it is possible to make such a good hubs for such a low price and we are not talking about hundreds of pieces, more about tens. Then why is it so expensive at the biggest players in the game? Wow, such a positive review. I guess wheels is better than no wheels. Carbon was suppose to be lighter, stronger....now is just EXPENSIVE, weighs same as aluminum, and same durability as aluminum! Hope Tech Enduro. The end. lol, please show us where a complete DT 350 wheelset with Comp Race spokes are $300. If I build my own, the parts for a DT 350, XM 481, Comp Race wheelset will be $520 plus a 36t ratchet upgrade, plus the labor to assemble it. There are carbon wheels out there that cost $3,000. $1,200 counts as more affordable (it's still not inexpensive) to me - that's what a high end alloy wheelset costs. I didn't say for a DT 350 hubbed wheel set, but a decent wheel set. Use a Hope rear hub DT M502 rims, made add another $150. I'm saying that in many people's worlds, $1200 USD is not "affordable", nor would it make my ride that much better. If these are for you, that's great! I'd rather invest the saved money and retire in my 50's so I can ride everyday. @woofer2609: The hubs and spokes in that list are definitely a downgrade and they don't even have a XD freehub option. Your argument is essentially, "Crappy wheels are cheaper than these". So you are correct. @JohanG: Again, I said "decent" not equal. Of course they're a marginal downgrade. I hardly consider DT spokes (straight gauge spokes may be seen as a downgrade, but are essentially non breakable if tensioned properly in my experience), DT rims, and Shimano XT to be crappy. YMMV. I'm just saying that I can't see these improving someone's time or comfort on the same trail. It'd be neat to see a head to head comparo of these vs. the rims above. The difference between the two sets of wheels could fund a trip to Moab for a week. Again, if you've got the money for both, great, go for it. Apart from being able to point out the carbon rims you've got, I would be surprised at any performance increase for 95% of us, including me. Mike, you're right in that aspect. I guess I'm saying that I'd like to see these wheels tested against a set of mid range alloy rimmed wheels, and maybe those $3000 wheels you speak of. Same rider, course, tires, and bike, but different wheels. Multiple runs over many weeks. Then at least there'd be data to compare. So many carbon wheel options it’s confusing. If you Alex me about carbon rims Enve and Santa Cruz are the only ones I could tell you about. And even then the correct answer to the wheel question is 350s laced to ex AL rims. 1200 for a set of wheels LOL!! FTFY "deliver performance that's on par with wheelsets that cost hundreds of dollars less". "performance that's on par with wheelsets that cost hundreds of dollars more" It would probably cost hundreds of dollars to load your rims with pyrotechnics to designed to detonate at a random moment. DT 240 or bust. Especially at that price. What is the warranty on the wheels?? If they don’t have a life time warranty then is a no no. Your answer is in the review, just gotta read. I'll show some interest when "Value" means sub $600. Sticker saying made of carbon? there we go! I'm not even that aggressive of a rider and I've seen since switching to carbon wheels that I don't get superficial dents in the wheels from random rocks and they stay more consistently true due to the stiffness. If you're good with your aluminum wheels that's great for you. @Chadimac22: does you no good if your bike is flexy! the stiffness argument is way overrated, compliance gives me a smoother ride. rim width, get a Flow MK3 instead then, same price, almost same weight. @sebazzo: It's not overrated, actually. But I guess it's cool to call flexy wheels compliant these days. @Chadimac22: Overrated for sure. In the sense that some believe it would be important to have as much stiffness in their wheels as possible. Whereas it's really a matter of preference. I dont mind you sticking to carbon, dude, but I know why i like my way of doing things. And it's certainly not spending thousands on a wheelset for perceived performance gains. @sebazzo: I'm glad you don't mind me sticking to my carbon wheels. What a relief! Rant off. Need to get out on my bike. No, trust me, it's me. I'm kinda grumpy today, not sure why. I too spend money freely on certain things and not others. In this case I'd want to notice a pretty big improvement for the equivalent of a weeks pay. If these wheels were timed against another set of wheels,on the same course, by the same rider multiple times, with the same bike and tires used, at least there would be something to evaluate. Empirical data is never a bad thing. I'm just saying that these have a pretty small return on investment over a set of $400 wheels that would leave enough money to get a good start funding a fat tire bike for snow season. Having carbon wheels just to have carbon wheels seems kinda ostentatious. "Show me the numbers!"